Hi everyone! It's Tracey, and I'm delighted to be back guest designing with Helmar again this month. Although it's still cold winter weather here in Ohio, I'm thinking spring with this card featuring handcrafted flowers. 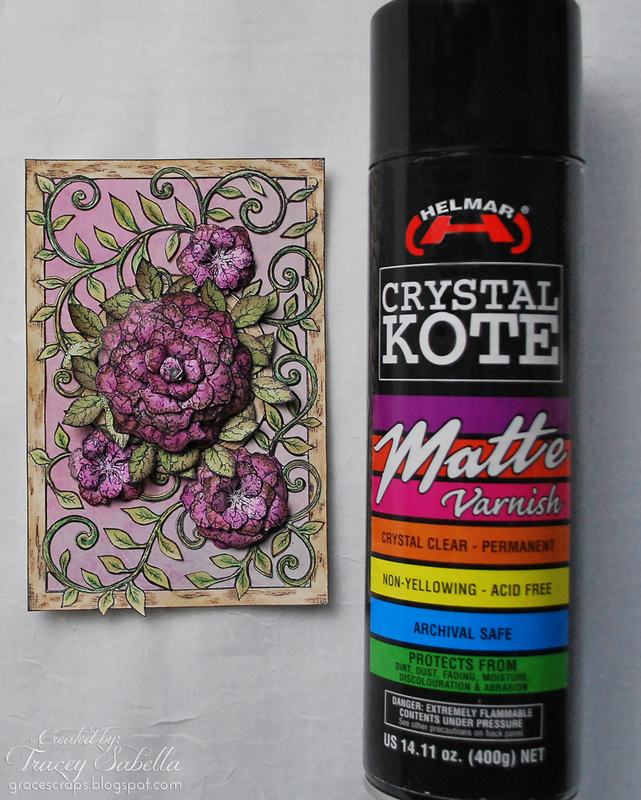 Today, I'm sharing how I used Helmar Crystal Kote Matte Spray to seal watercolor mediums. I used watercolor pencils and water-soluble wax pastels to paint my handcrafted flowers and die cut frame. As you know, watercolor will bleed into any other wet medium. Since I planned to splatter my card with ink, I needed to seal the painted flowers and background. Helmar Crystal Kote Matte Spray is my go to sealant. I used several light coats, spraying from different directions, to cover all the layered surfaces. Because this spray is matte, it does not change the appearance of the painted surface. As you can see, there is no glossiness from the spray, and the splatter did not pick up any of the color beneath it. I used Helmar 450 Quick Dry Adhesive to put my flowers together and to adhere the frame and flowers to the background. 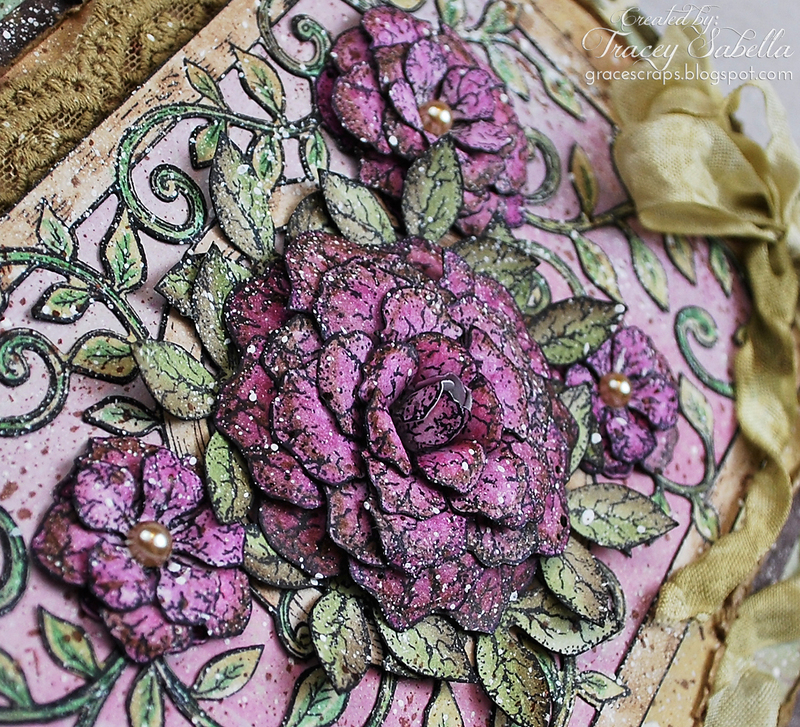 The lace on the edge of the card is adhered using Helmar Fabric Glue. Because this lace is sheer in places and the glue would show through, I applied the adhesive just to the lace edge that is tucked under the frame/flower layer. This triple loop bow is tied from dyed rayon seam binding. I adhered it to the card using Helmar 450 Quick Dry Adhesive. The bow tails are positioned and then adhered with small dabs of 450 Quick Dry Adhesive. 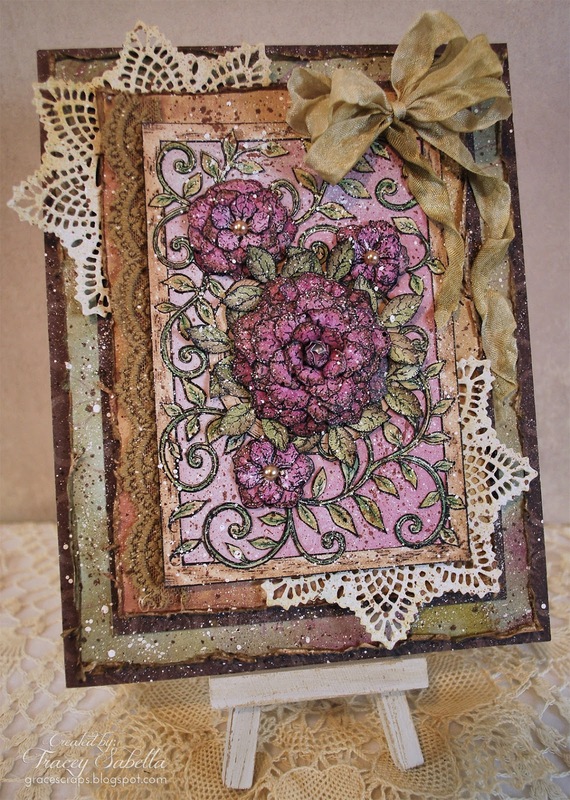 I used Helmar Zap Dots between some of the layers to add dimension and to give space for adding the die cut doilies. 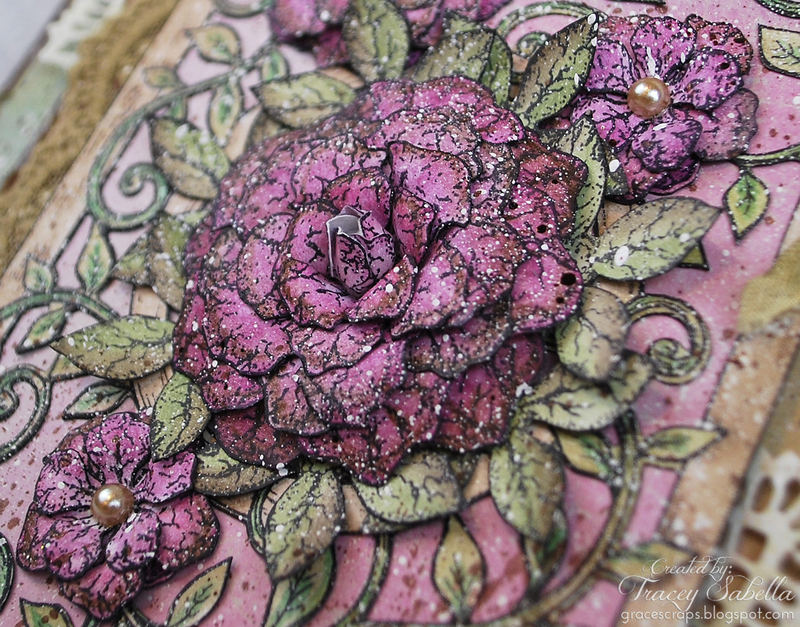 The doilies and other layers are adhered with Helmar Premium Craft Glue. to seal your watercolor based mediums. Greetings and Salutations! Jennifer here, with a project perfect for giving a pretty new life to some old frames you might have laying around. It seems there was a time in my life where I was gifted quite a few frames of all shapes, sizes, and finishes. This particular frame just never seemed to fit anywhere or any picture in my home, until I stopped thinking about it as a frame and started thinking about it as part of something much better: a pretty, padded, organizer or memo board! While I played up the delicate Victorian look of this frame, you can do this with any frame, fabric, and ribbon that suits your decor style. In addition to the frame, fabric, and ribbon, you'll need some low-loft batting (the type made for baby quilts is ideal), scissors, and Helmar Fabric Glue. Open up the back of your frame and remove the glass and any matting or placeholder images. You'll be working directly on the chipboard backing of the frame for this, but if you've just got the frame and nothing else, you'll need to cut a piece of cardboard or foam board to fit the frame snugly. Cut a piece of your batting just slightly smaller than the backing of your frame. It doesn't have to be exact, just get it close enough. We don't want it going all the way to all edges because it will make putting the frame back together more difficult. Cut 2-3 more pieces of batting, each slightly smaller than the last and stack them up on the back of your frame, centering them the best you can. Then secure each layer with a bit of Helmar Fabric Glue. Cut a final layer of batting, this time big enough to cover the stack of batting already in place and meet the edges of the frame backing. Glue this layer in place along the outside edge of the backing, keeping it as even as possible. This layer smooths out the appearance of the layers underneath and gives the fabric a good base. Repeat the same process with your fabric of choice, centering the design if that's important to you, and gluing down the edges over the batting stack. If there's a little overhang on this layer it's okay--you can trim it down later if you think it might show or pose a problem hanging, etc. Arrange your ribbon diagonally across your padded board, crossing at whatever intervals feel right for the size of your frame. Since my frame is meant for a 5x7 photograph, I only needed four ribbons, if you're frame is bigger you'll need more, but try to keep the parallel lines of ribbons no farther than 6 inches apart, even on the biggest frame. Glue the ribbons in place starting with where they cross and gluing the overlaps together, then secure the crossed ribbons to the fabric below. A little of Helmar Fabric Glue goes a long way in this instance, so just little dabs are all that's needed. Once the centers are secure, then glue down the ends to the edge of the backing. Now you can add any beads, buttons, or bows to your memo board you want, using them to dress us where the ribbons cross or create a little decorative cluster in a corner or the center if that's what floats your boat. Again, a small frame can easily become overloaded, so I ended up just using some sheer bows and calling it a day. Put your frame back together and you're done! If your frame is the standing kind, this can become a pretty way to display jewelry or notes on your dressing table, or you can hang it over a desk as an organizer for all the fun bits of ephemera that tend to accumulate around us. Hi everyone, Sandee here with a cute little candy box I spruced up with some whimsical charm and a feeling for spring to make some bunny feel special. I love to alter things, don't you? I first began by laying out all my supplies to see how everything works together. My next step was to cover the small candy box with some very old, and well hoarded basket weave paper by Creative Imaginations. I spread my Helmar Craft Glue out around the top and edges of the box with my little spatula, it's helps to spread everything out evenly so there are no gaps. Then after the papers were added I adhered a burlap flower to the side of the box along with a few Prima leaves with my Helmar Craft Glue. My last step was to add the paper casted bunny I made, since it has an uneven surface along the backside I filled in the hollow areas with some Helmar Liquid Scrap Dots and added a matching burlap flower to the paper bunny. Easter is only a hop, skip and a jump away so get ready for it now! Hi everyone, Katie here! Today I wanted to share this tag and card I made using our Helmar QuickFix Adhesive Runner and some transfer foil. When I was at the CHA show in California earlier this year, I noticed that foiling was all the rage! I'm loving this trend, I think foil is super cool. If you are too, here's how you can get the foiled look! Start by using your Helmar Quickfix Adhesive Runner to create a pattern on your tag. I did stripes. Next, take a piece of transfer foil and place it down on top of your sticky adhesive. Rub it down and then peel it off. The only places that the foild should stick to would be the adhesive tape stripes. I decided to use my tag on a card, so I used my Helmar Quickfix Adhesive Runner to attach it as well as the other small paper embellishments. For my chipboard hearts, I grabbed my Helmar 450 Quick Dry Adhesive and placed a dot of glue on the back. Hi Veronica here today to share with you my Valentine Gift Box project I made using Helmar Decoupage. I love Valentine's Day and I thought this paper mache house would make a great gift box. You can bake some fresh homemade cookies and put them in the box which is what I did for my daughter's Valentine gift. You could also put in a gift card, or some chocolates; anything you can think of. Also this project is great for any occasion whether its a Birthday, Halloween or Christmas just change up the paper. A good method is to brush the adhesive onto the paper and then adhere it to your project. Also the Helmar Glue Speader tool comes in handy to smooth out your paper. I added vellum on the inside of the box for the window and also added a door. The next Helmar adhesive I used was the Helmar Craft Glue. I used it to adhere all my embellishments onto the house and also used it to adhere the vellum for the windows. Thank you for stopping by today, I hope you enjoyed your Valentine's Day with a loved one. Next holiday why not make something from the heart and try some Helmar to help you with your project. Happy Valentine's Day Weekend! Every year for as long as I can remember, my mom has done things specifically for us on Valentine's Day. She has made it that one other day besides Halloween ::chuckles:: to shower my brothers and I with the NICE CANDY! That's one of many traditions I am sharing with my daughter. While she is not a big candy eater, she does love small hand held objects. Therefore SHE is the reason I created these. I plan to scatter them around her computer area. So she could see, read and know that EVERYDAY that I love her, I want her to Be Happy, Laugh and Smile. I initially saw these done as a pendant by my friends Vicki L. and Donna L who told me how to make them. Thank you ladies. Now for me, to share it with you.. I started out with some wooden hearts from my stash. You can find them at any craft store. I painted one side black and one side white with Deco Art acrylic paints. I then got out my Helmar Tacky Craft Glue and coated the white side. I chose the tacky glue because it is nice and thick. I will be adding eggshells to it shortly. I wanted to be sure that it would be thick enough for the shells to sort of hug into the glue. 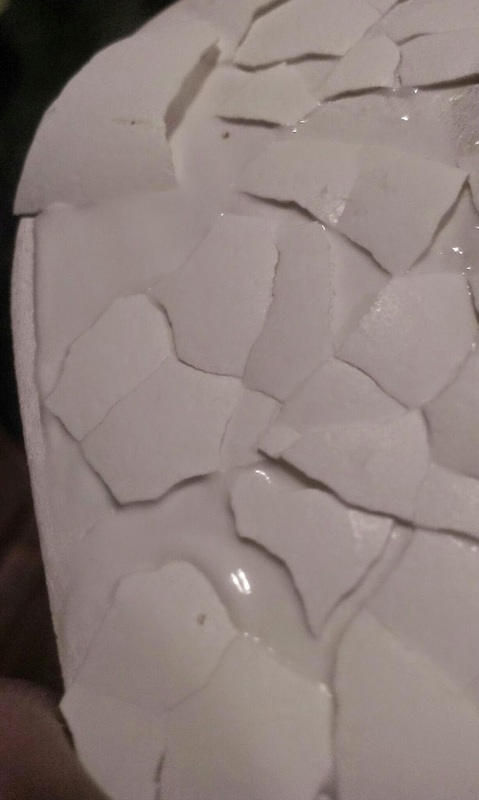 I took my already cleaned eggshells and carefully placed them insides down on the glue. It's not a big deal if you don't fully cover the entire space, but as you push down on the pieces, they crack into smaller bits. When this dries you can smooth the edges with a nail file. 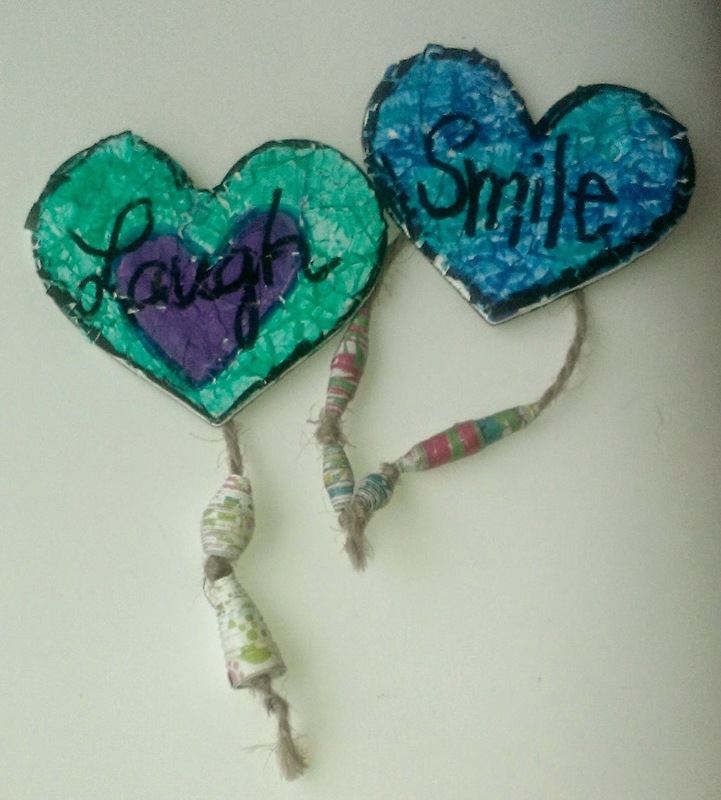 After it is dried, I flipped the white crackled side over and used my Helmar 450 Quick Dry Adhesive to secure my magnet chip and my paper rolled beads, on a string. 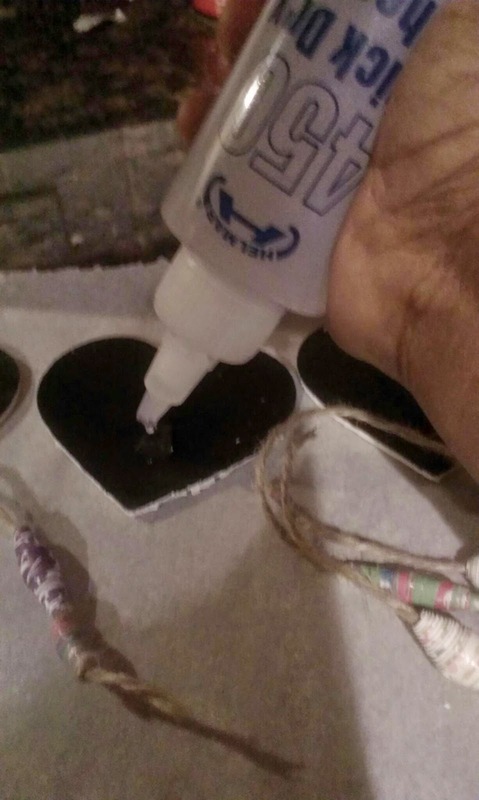 I used the Helmar 450 in this case because I wanted a THICK and CLEAR quick drying glue that would be strong enough to hold on to the magnet and the twine string and lay flat enough to secure it to the wooden heart. 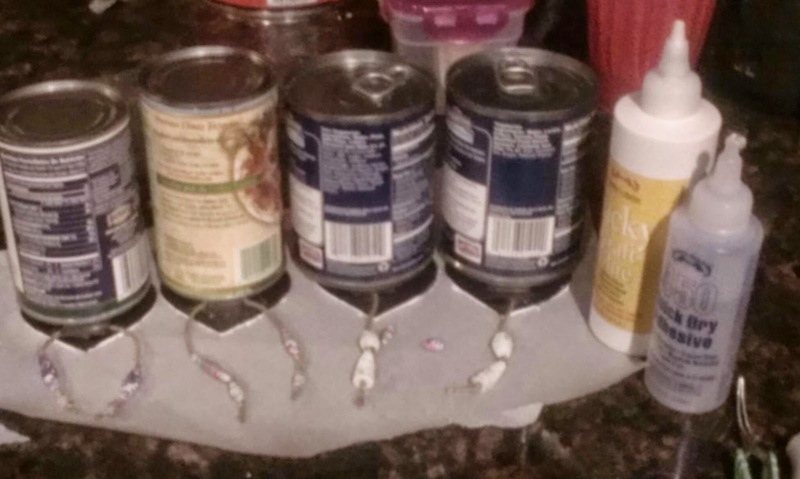 Then I sat cans on them as weights for a few minutes while I cleaned things up. It was not necessary to do, but I did it. Plus it helped flatten things. Here are few more pictures of my finished projects! I hope you CREATE something with LOVE for SOMEONE you love.. and use some Helmar Adhesives while you're at it!! We are looking for dedicated creative design team members who work well with deadlines and guidelines. Designer positions on the Helmar Design Team are for a 6 month term beginning April 1st, 2015. Please submit your application to khitchen@helmar.com.au by Friday 27th February 2015. Hey everyone! 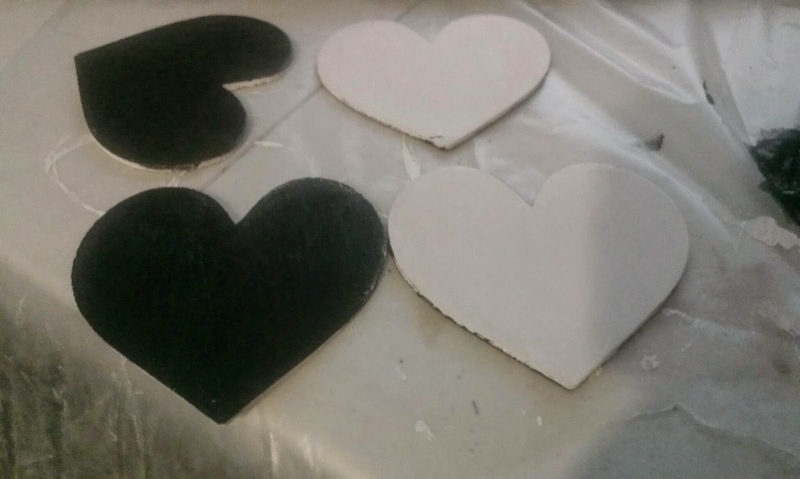 Nicole here to show a Valentine's-ish decor project. I decided to make this more than just a love themed bright pink/red arrow so that once the holiday of love is over I could still hang this on my wall. I found this unfinished wood arrow at the craft store. I started by going over the whole piece with a little sandpaper. The finish is meant to be rough, but there were a lot of extra small pieces of wood along the sides that I smoothed out. Next I decided on adding a little white wash to the edges and the main part of the arrow. I added water to antiqued gold acrylic paint, brushing it on with a wet foam brush. White wash made a nice aged finish that still allowed the grain to show through the paint. After the paint dried I took Helmar Craft Glue and placed it on the top triangle of the arrow. Squeezing it out and evenly spreading out with my finger. Place it on the backside of the pattern paper. Roughly cut around the outside with scissors and then file down the sides to create a smooth finish. Do the same thing on the "feathers" of the arrow covering both ends with pattern paper. Using a piece of scrap cardstock I cut the word together using my Silhouette Cameo. I taped the stencil to the wood with washi tape to keep it nice and secure. Using a dry foam brush and brown acrylic paint I used a dry brush technique to apply the paint. Taking just a small amount of acrylic paint on the brush and then rubbing most of it off onto a paper towel. Using a pouncing up and down of the paint brush I applied the paint to the wood. Try to avoid a back and forth motion so paint doesn't go under the stencil. Once you do the whole word remove stencil and voila! A perfectly stenciled word. I have a couple of old crates and an antique truck in my living room and this really fits in well with my other decor. Next I added glitter with the help of more Helmar Craft Glue. I placed a good amount on the pattern paper and then spread it even with my finger again before pouring the clear glitter over the top. I didn't get a picture, but after I poured the glitter over the glue I pressed the glitter into the glue before shaking off any excess. And a pull back of my whole Valentine's mantel. Such a fun touch to my Valentine's decor. Thanks for stopping by the blog today! I love to recycle things, especially packaging so for Valentine's this year I decided to make some hanging hearts using old packaging cardboard. You will need Helmar Premium Craft Glue, cardboard, lace to cover the heart and to hang it and any embellishments that you would like to use. To start with you will need some packaging cardboard cut into your desired heart shape, two per heart. 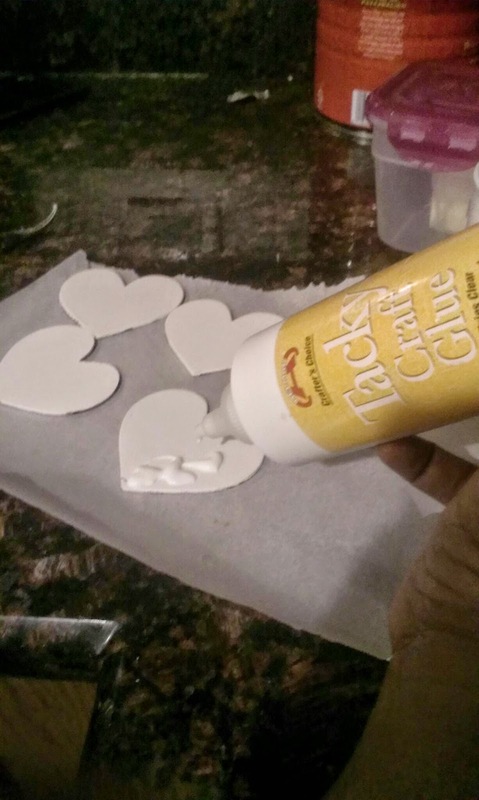 Using Helmar Premium Craft Glue, glue the lace to one side of each heart shape and then trim the lace. 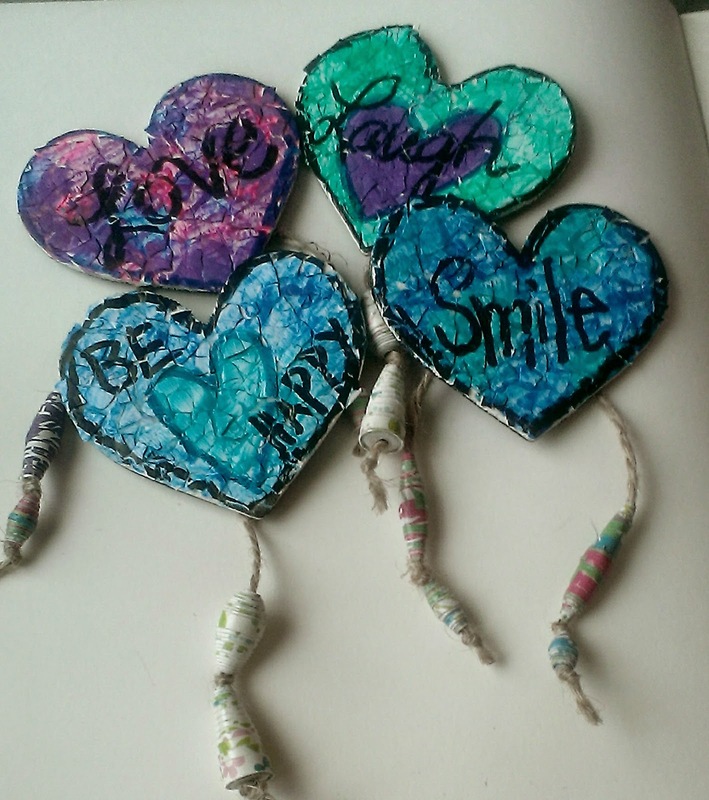 Start playing around with your embellishments and decorate your hearts. Once decorated apply the hanger lace to the inside of one of the hearts, decide where you prefer them to be and then apply Helmar Premium Craft Glue around the edges of the heart and join the front to the back. Run a bead of Helmar Premium Craft Glue around the outside rim and cover with a pretty trim to finish off nicely. Sprinkle the finished hearts with glitter and they are done. These hearts would also look nice hung in a long strip of three vertically or even a few joined together to make a banner. Hello everyone! 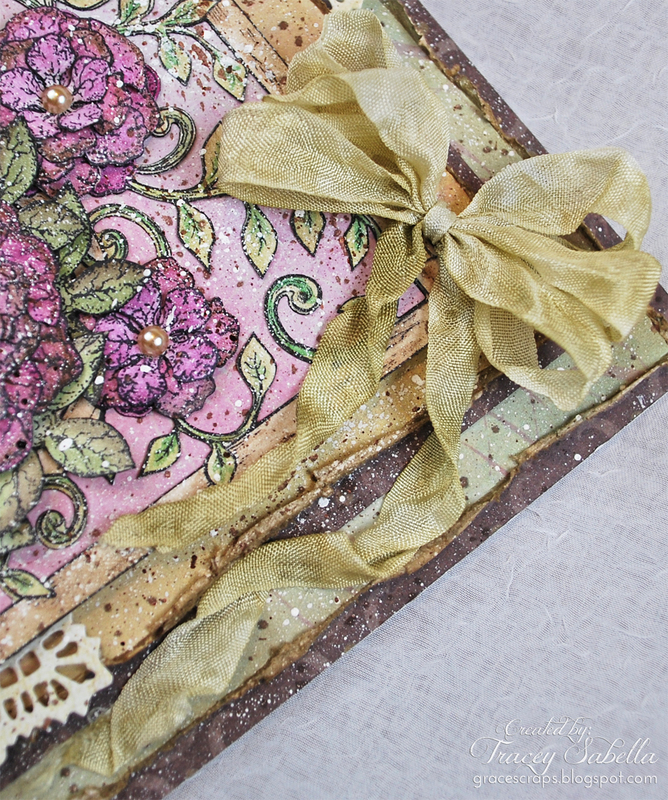 Kisha here to day and I want to show you how I embellish my "upcycled" journals. I often use ceral boxes, rice boxes, etc to create journals and this happens to be one I created back in December but never made it pretty. Here are a few upclose photo's of my new journal. 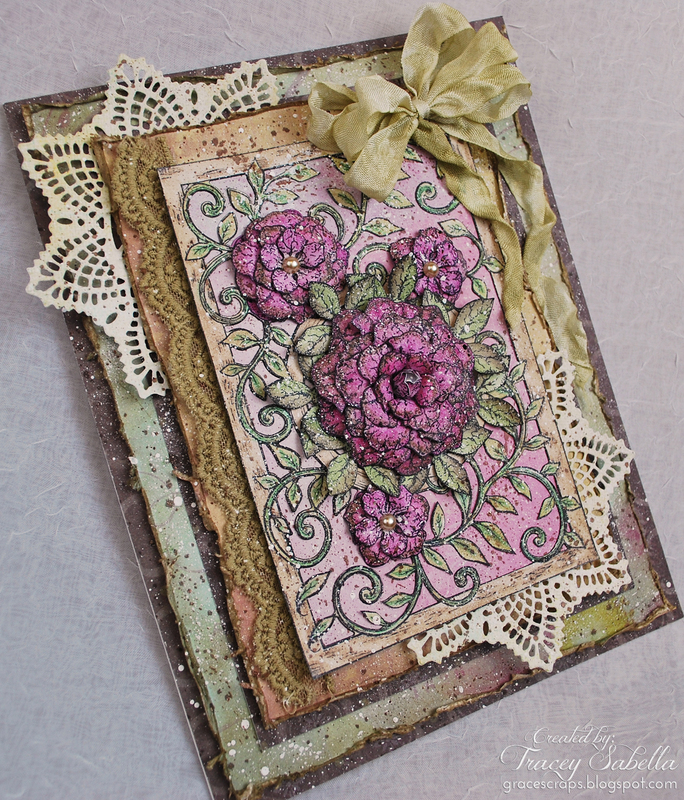 I used Unique Laser Designs wooden hearts from their Heart Stencil and Ranger Liquid Pearls to softly embellish the lower section of the journal. To begin my layers of embellishment, I first adhered script ribbon using Helmar Fabric Glue. *Keep in mind the journal was previously covered with batting and fabric using the same adhesive. Continue the layering process using the same adhesive. The metal key was also bonded using Helmar Fabric Glue. Continue to layer on the raffia, large flower and wooden hearts. I decided to add a bit more texture using another ribbon on top of the script ribbon. This is a great way to use up your bits and pieces that remain from prior projects...Upcycled journals are great projects to create all year long to give as gifts or better yet keep for yourself.